March 20th is equinox. Day and night are of equal length and there is balance in the world. 2. St. Patrick came from Wales and the patron saint of Wales, St. David, came from Ireland. 3. Irish people do not call it St. Patty’s Day. That drives them crazy. It’s Paddy’s Day, St. Paddy’s Day or St. Patrick’s Day. 4. Irish people do not say Top of the Morning to Ya or any variation of that. 6. You can try to say Happy St. Patrick’s Day in Irish. 8. People in Ireland generally do not eat corned beef on St. Patrick’s Day. That is an American-Irish tradition. 9. The symbol of Ireland is a shamrock. We do not consider it nor call it clover. It is much smaller than clover and supposedly only grows in Ireland. 10. There are parades held all over the world including in Hong Kong and Japan. Places go green on St. Patrick’s Day including the river in Chicago, the Sydney Opera House, the Tower of Pisa, the Moulin Rouge, the Las Vegas sign, the statue above Sao Paulo, the Sphinx, the Great Wall of China… Thank You, World! Question: Where did the Irish name of Ireland, Éire, come from? ← 391. 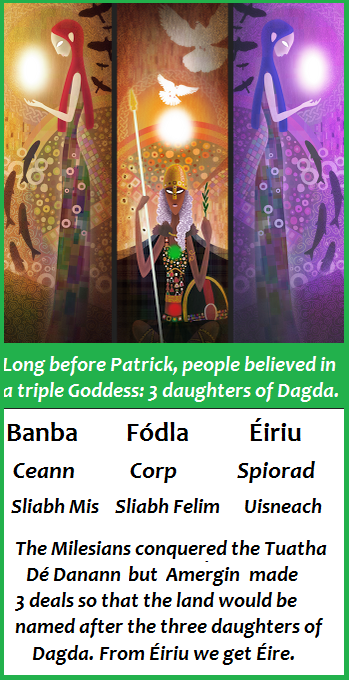 Lá ‘le Pádraig Sona, domhan mór. Shamrock is just one of a number of species of small clover. They are found widely all over Europe. Ach ní just one of a number dúinne é.
Agus míthuiscint i SAM go minic faoi. Rud éagsúil. Ní an planda atá acu. Bhí codladh sámh agam agus gá leis. Is fiú an iarracht a dhéanamh lenár gcultúr a scaipeadh le spraoi. 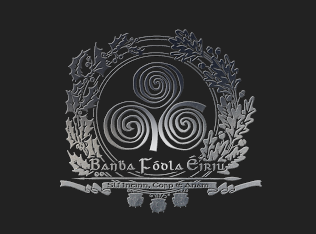 Súil agam go raibh craic agat féin.